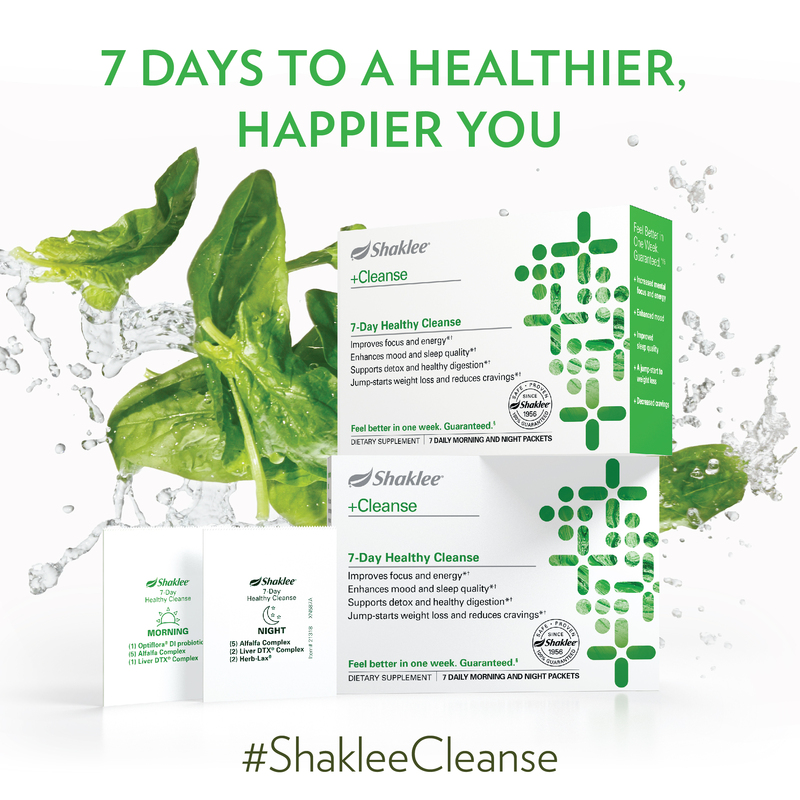 The newly repackaged 7-Day Healthy Cleanse is available for sale NOW. 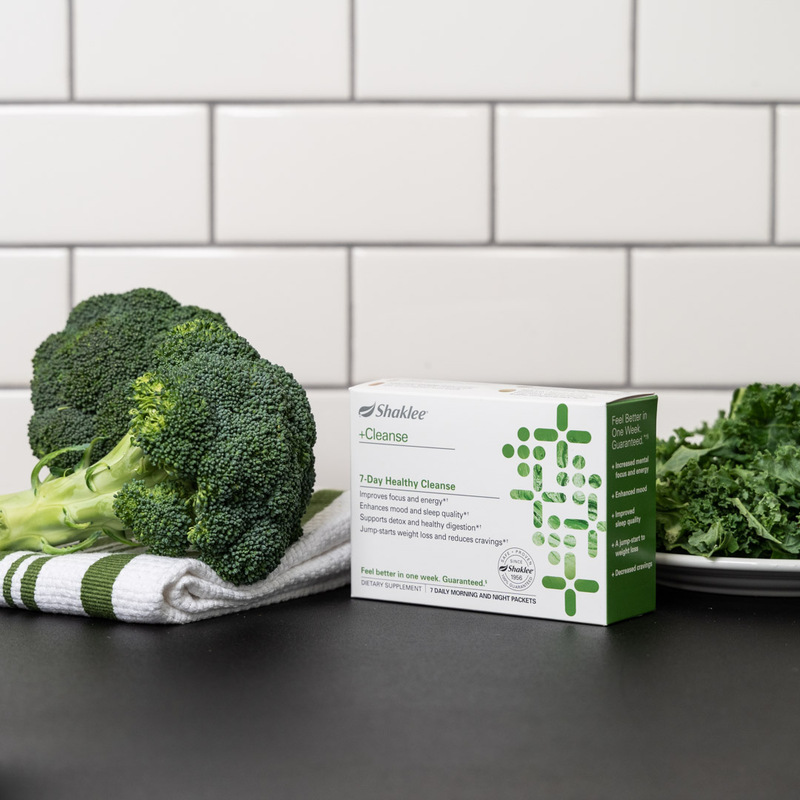 Keep reading to learn how you can use this product on social media to find new customers and builders. 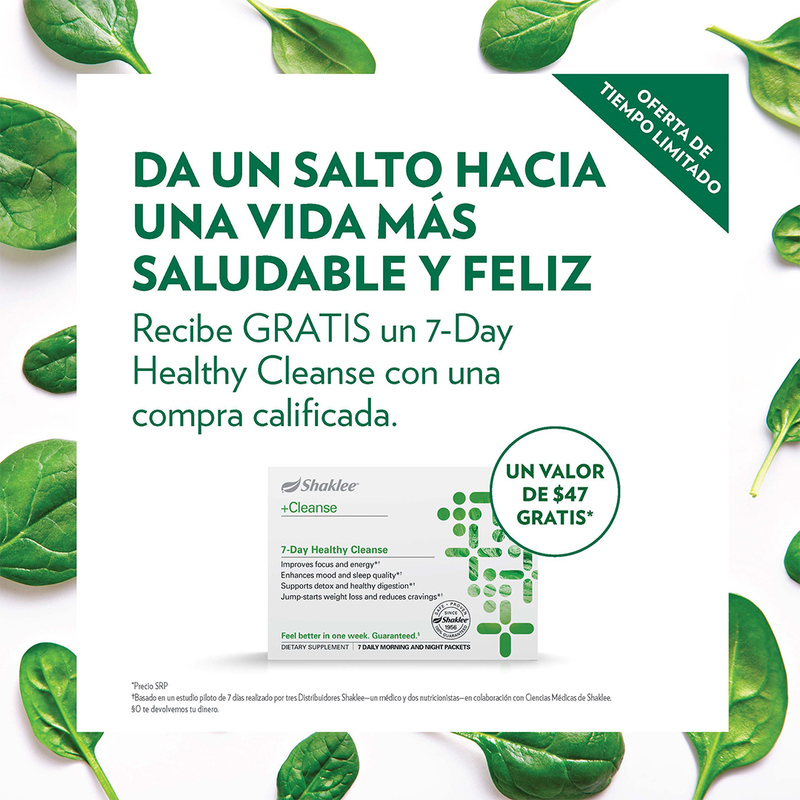 The 7-Day Healthy Cleanse is a perfect product to share in social and is a great introduction to people interested in Shaklee Nutrition. 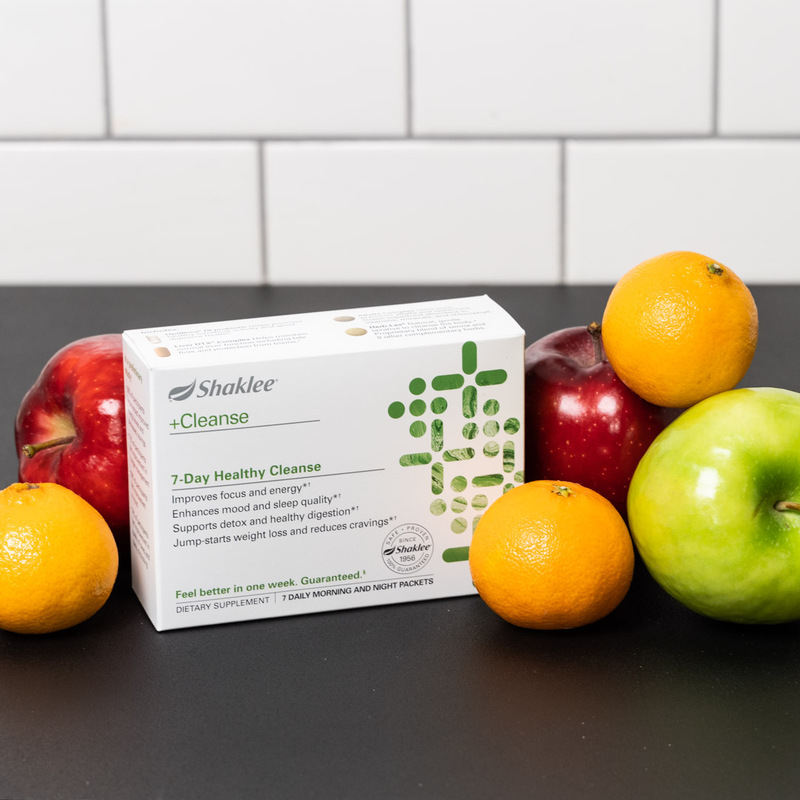 It provides an immediate benefit and can serve as a jump start to a customer’s personal health goal, whether that’s weight loss or better nutrition. 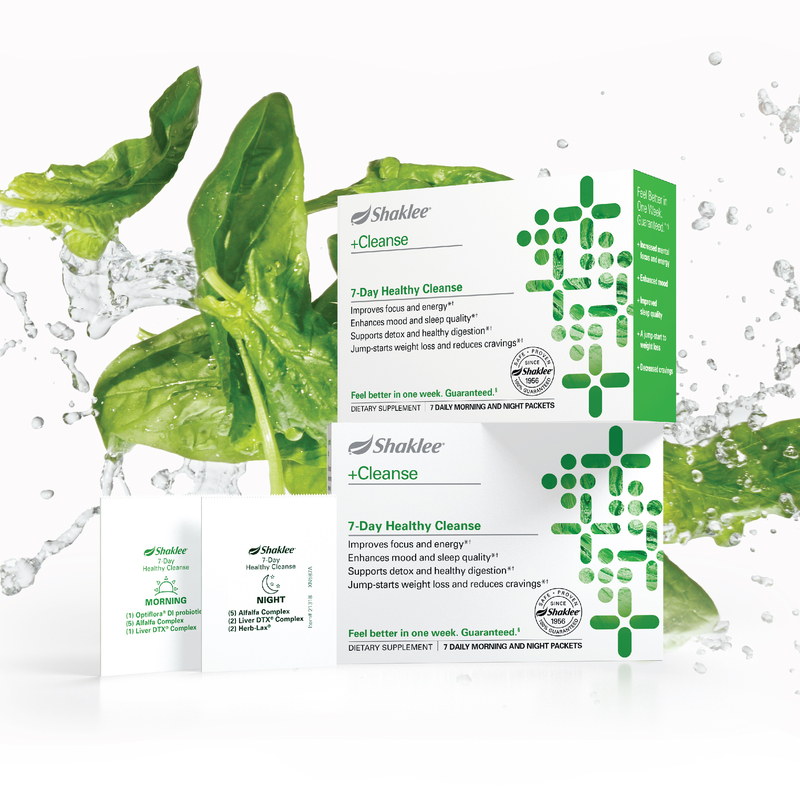 The goal of this process is not to sell the Cleanse but rather to leverage it to sponsor more Members and Distributors on your team. 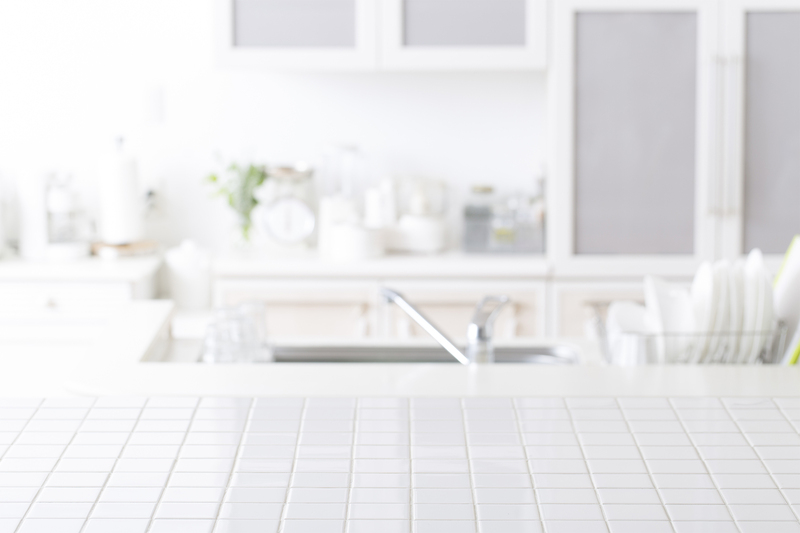 Use the tabs below to go more in depth about each of the steps and find resources you can use to share. 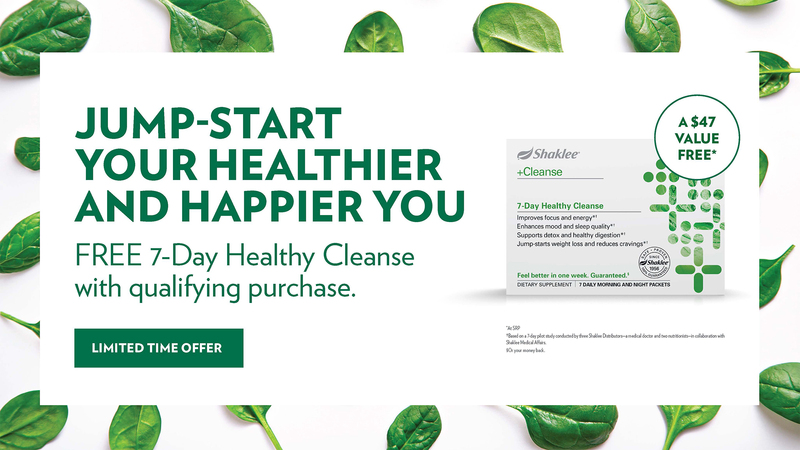 Your web browser does not support iframes, which means that the video Find New Customers with the 7-Day Healthy Cleanse cannot play. 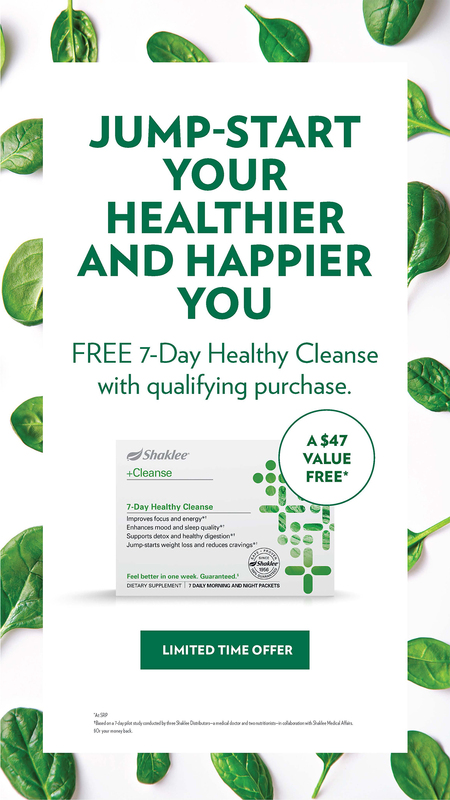 Take advantage of the following training and educational resources to orient yourself and your team to how to build with the 7-Day Healthy Cleanse. 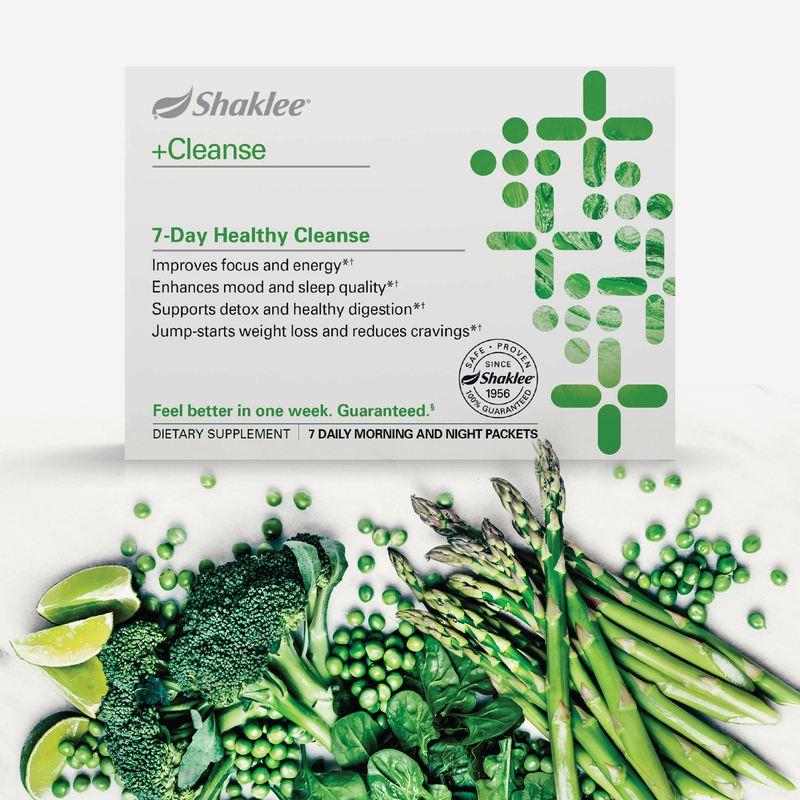 Link to 7-Day Healthy Cleanse "What to Expect" podcast. 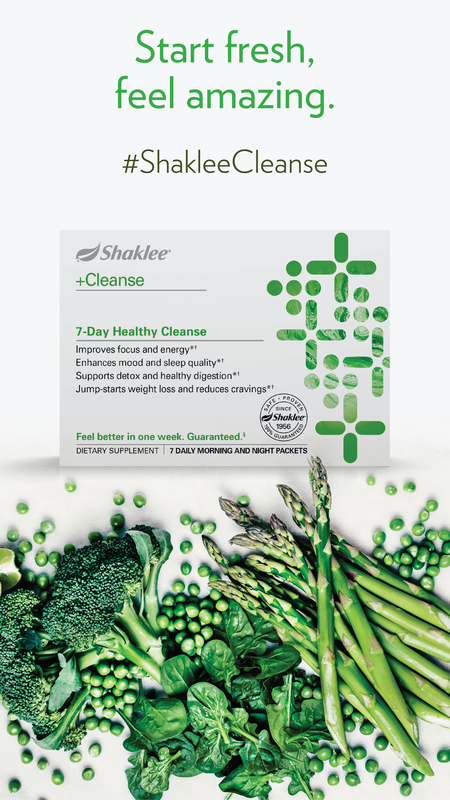 The first step in the process is to purchase a six pack of the Cleanse. 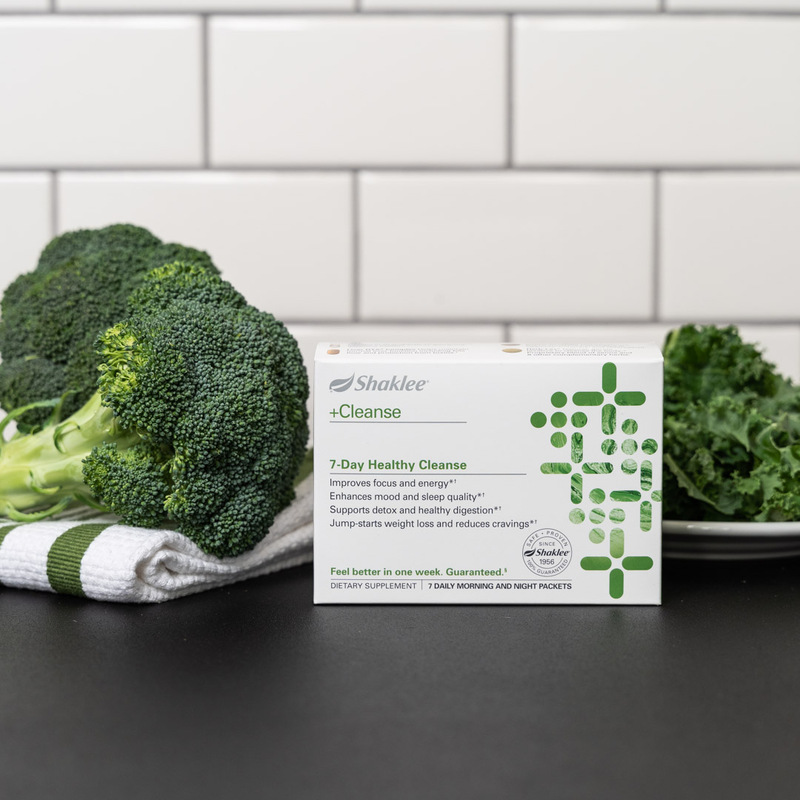 This allows you to go through the Cleanse yourself and have extra on hand to sell to those who want to purchase at retail. We suggest everyone purchase one to two six packs, so you always have some product on hand to sell to those who express an interest. 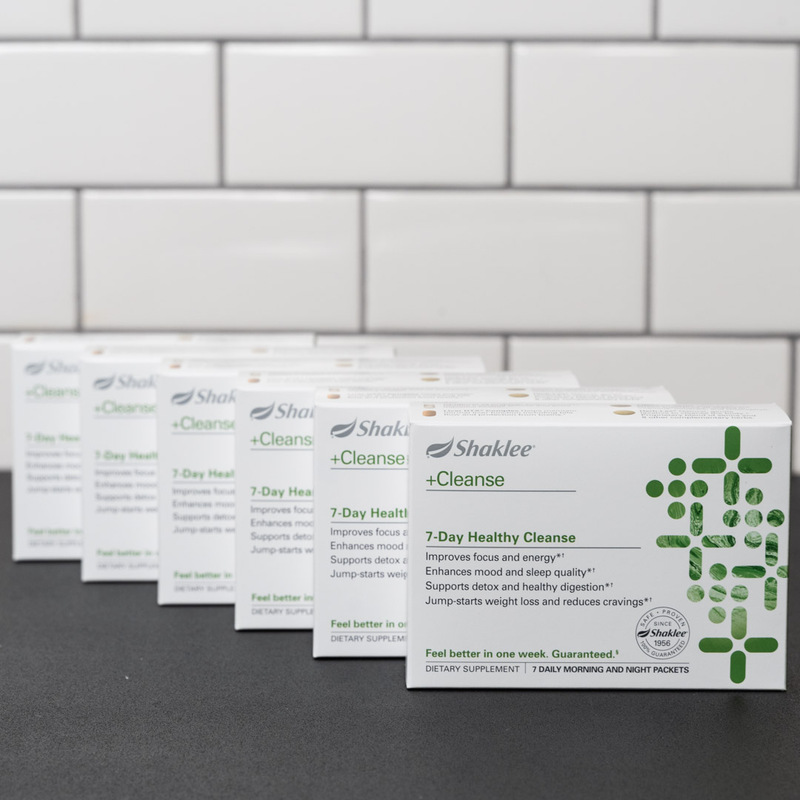 Now that you’ve purchased your Cleanse six-pack to share, you’ll want to begin creating interest in social media by generating curiosity, issuing a call to action, building FOMO (fear of missing out), and amplifying results. Check the All Resources section for social posts you can use. Special thanks to Katie Odom for sharing her examples! Social works best when the posts are authentic to you! In addition to the assets we provide that you can use, here are some of our favorite apps for helping you create your own social posts. 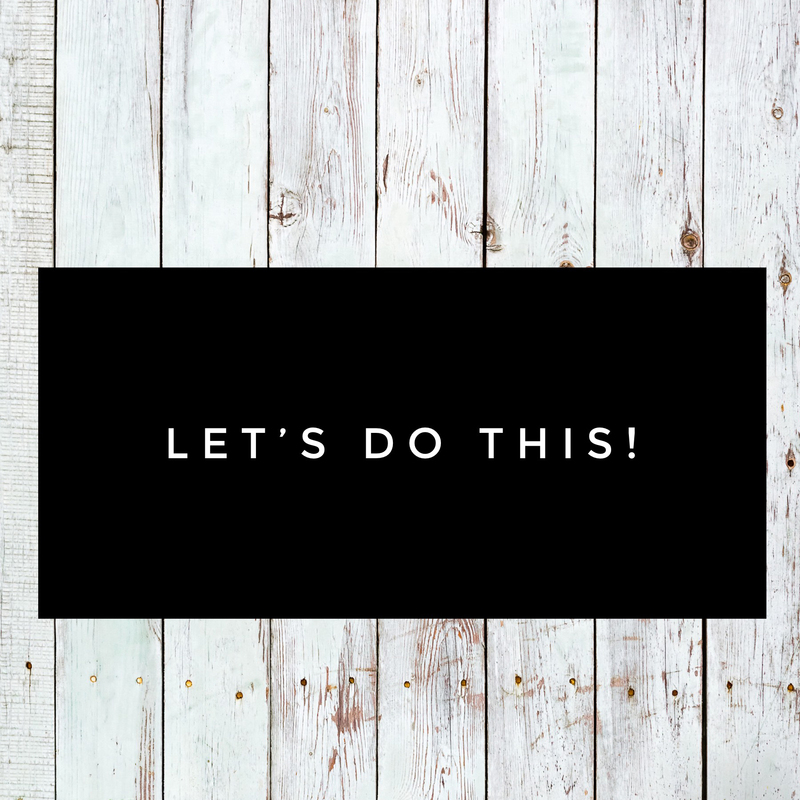 The goal is not to spend a bunch of time on this…but rather for you to take your own pictures or use some of ours and then use the apps to add text or other flourishes to make them your own. 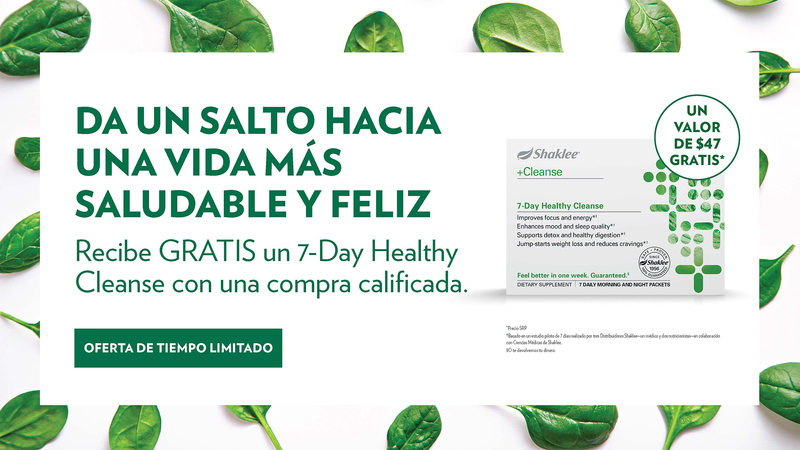 Your web browser does not support iframes, which means that the video Sharing in Social with the Healthy Cleanse cannot play. Generate curiosity by asking a question. Creates receptivity to future messages. "Oh, that’s an awesome tip! 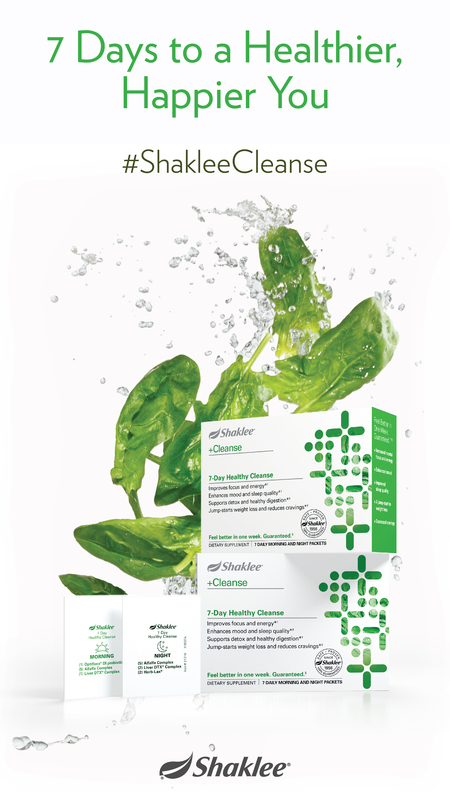 Did you feel like it helped?" "Thanks for sharing! I’ve never done one, but seriously considering!" "Great info! Anything else I should be aware of?" 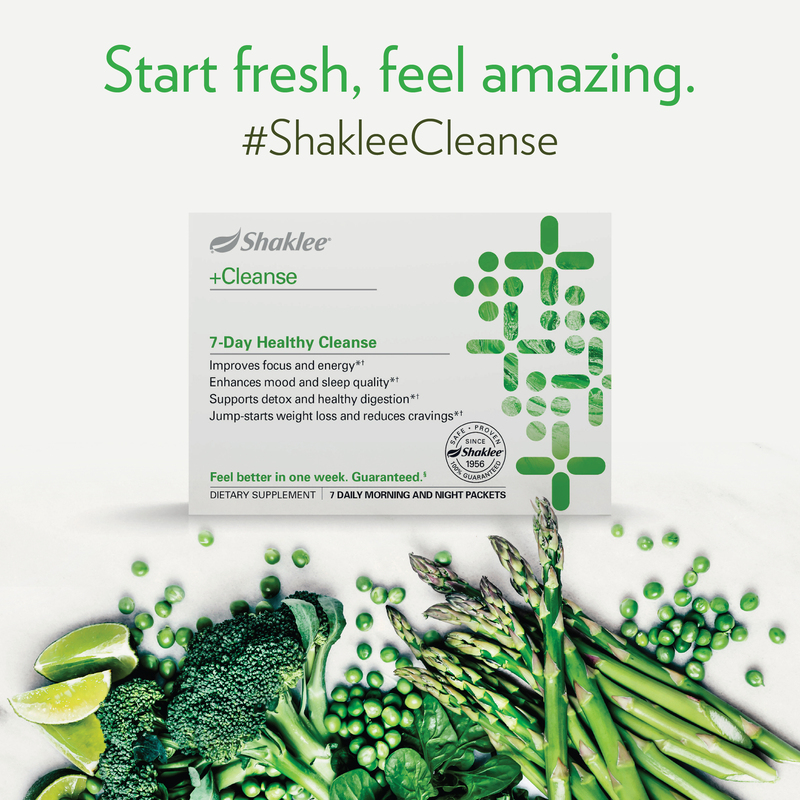 Use one of these or an image of your own to spark interest in the Cleanse. Use the dots below to see examples of Curiosity posts. Asks followers for something specific. Asks for response in comments. 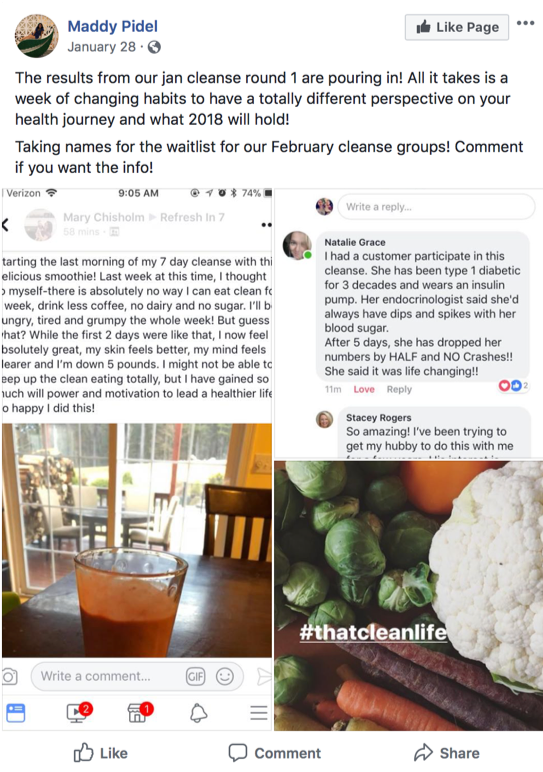 This is where you explicitly post about the Cleanse and offer the program. Keep it short, sweet and in your own authentic voice. 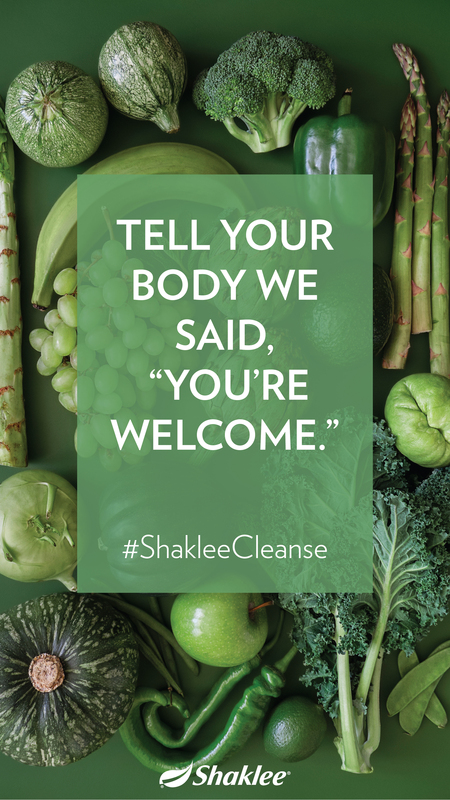 "Glad you are in! 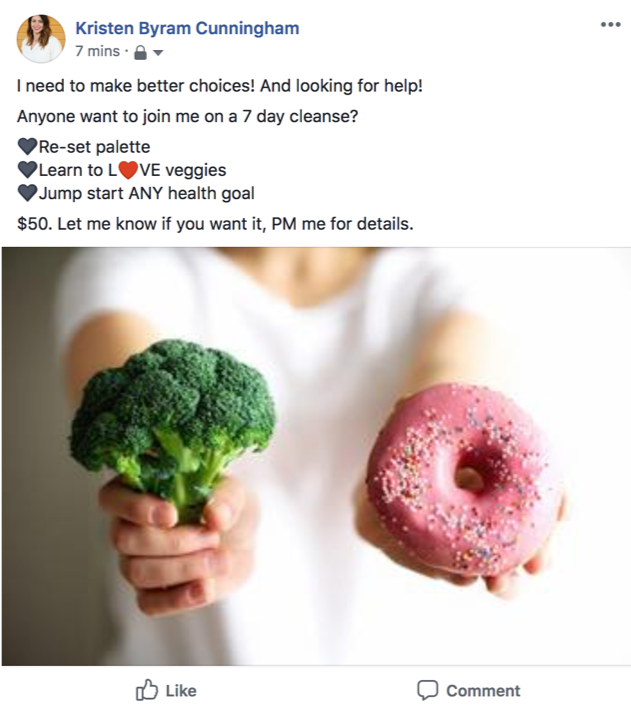 I’ll PM you the details!" "Awesome, can’t wait to do this together, I need it! I’ll PM you the details." And remember, always send specific information privately. Don't respond on the visible thread. Take the conversation 1-on-1 via private message, direct message or text. 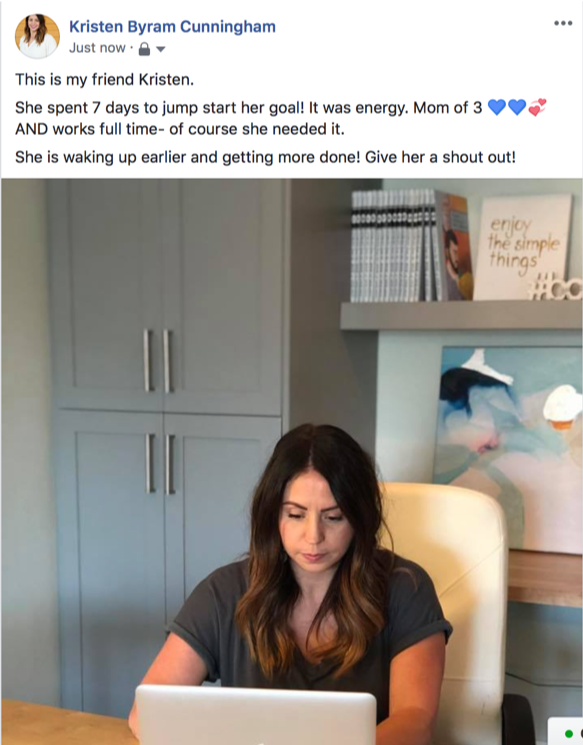 Use the dots below to see examples of Call to Action posts. Creates scarcity to have people act now. Makes people want to join. 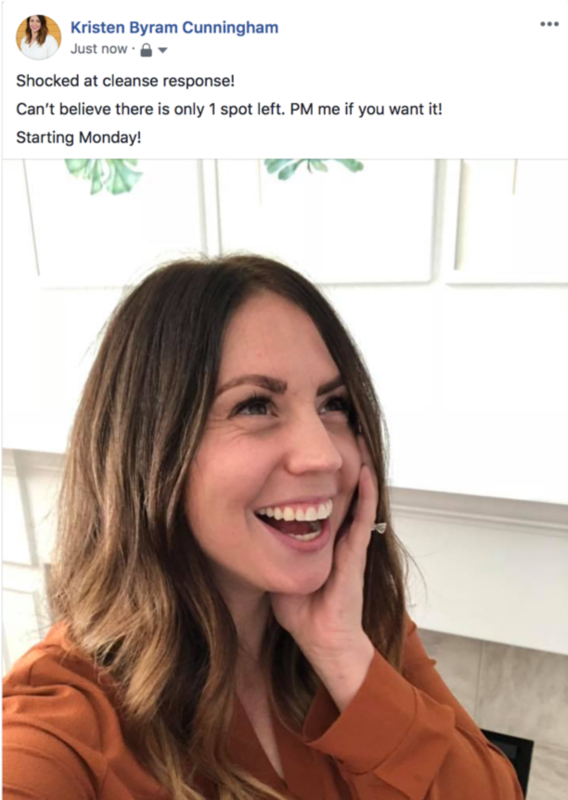 This is when you share things like how many have been sold so far (and have remaining); dates for the group or any results that current participants are experiencing. "Hey! 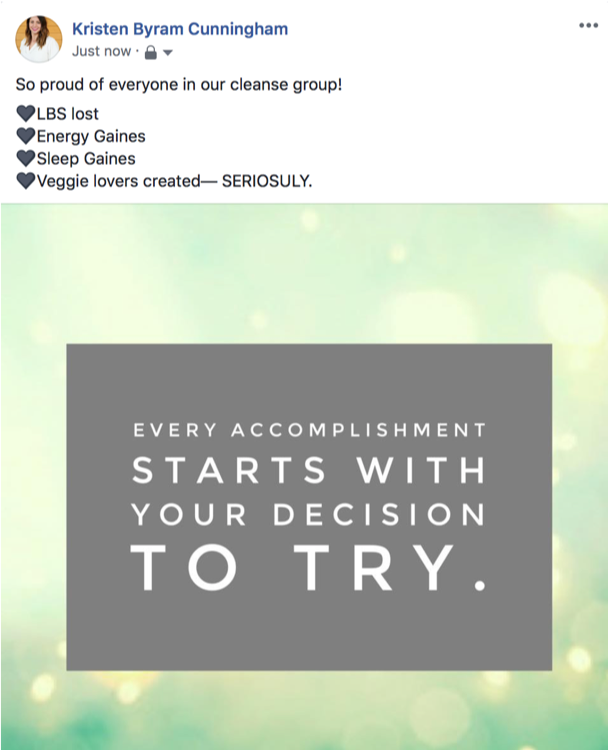 We start new groups all the time… Message me and I can get you the schedule!" "We would love to have you join, its challenging, but totally worth it! 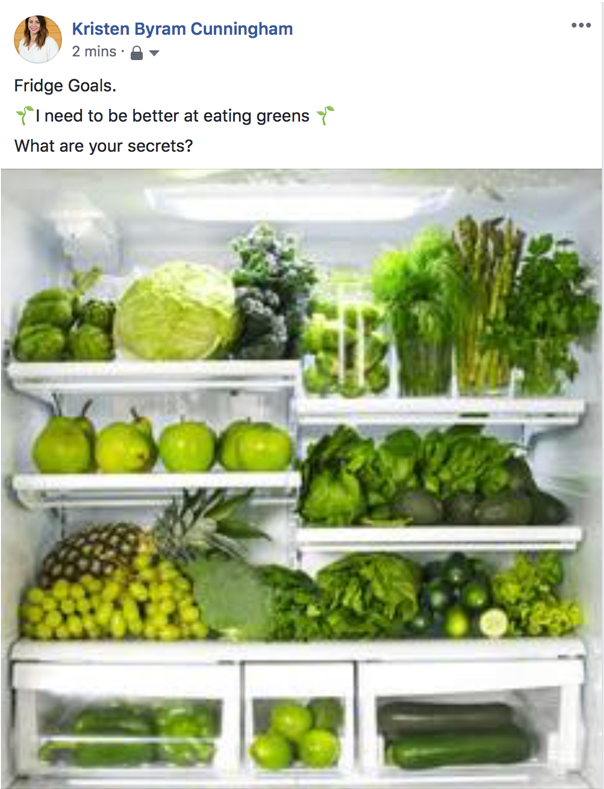 PM me and we can figure it out for you." "Thanks for your comment! Would be fun to have you join us sometime!" 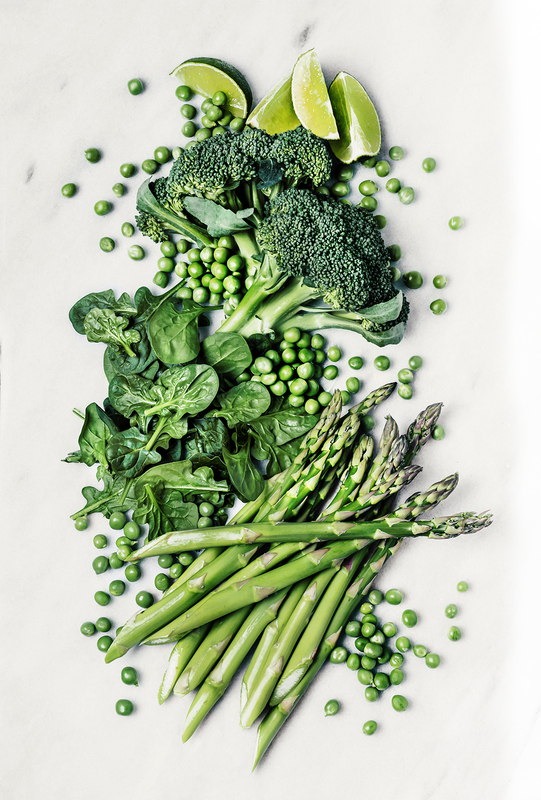 Use this imagery in combination with your own text to create your post. Use the dots below to see examples of FOMO posts. Shows update on call to action post. Leverage later to generate curiosity. Here’s where you share screen shots of progress reports on social as well as DMs (identity obscured of course) from satisfied customers. 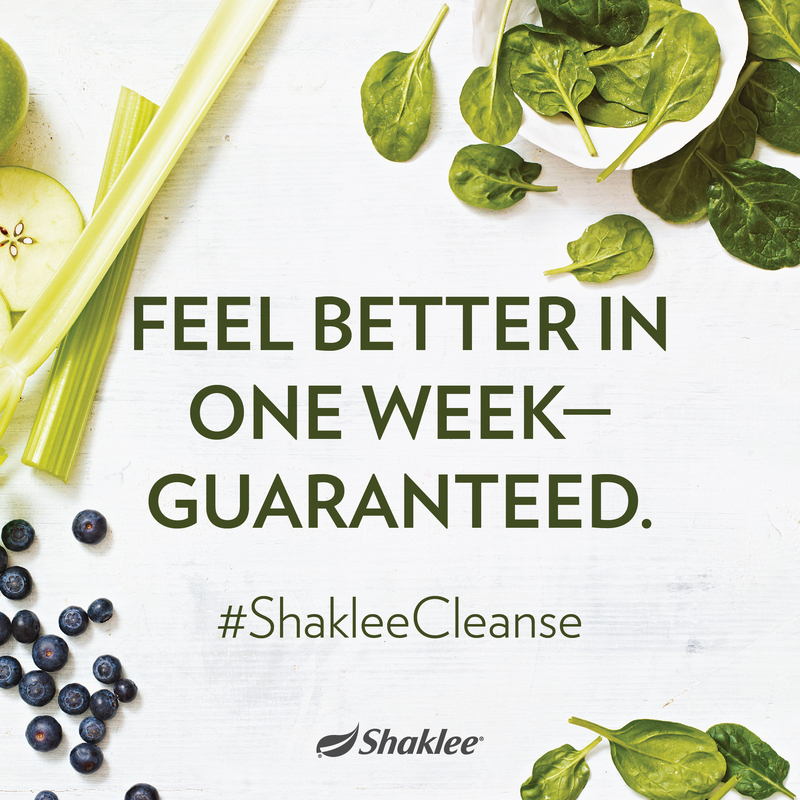 Reinforce by inviting those interested in similar results to message you to be part of the next cleanse group. 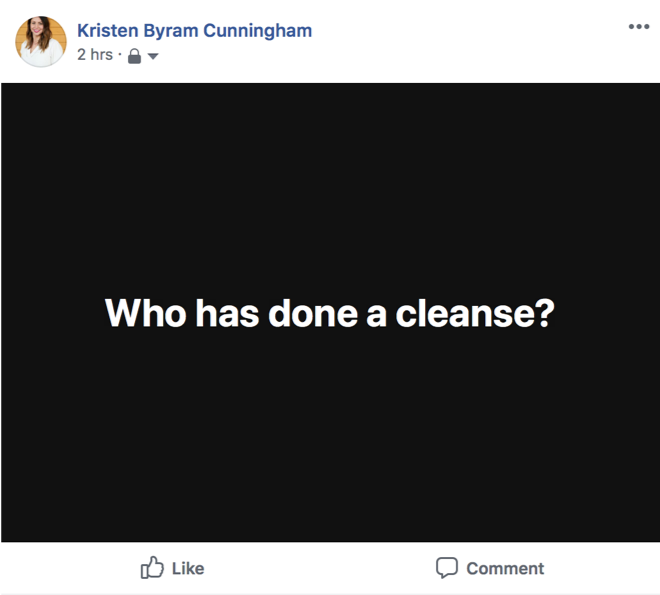 The best posts for amplifying results are the raves and after photos of those who've already participated in the cleanse. 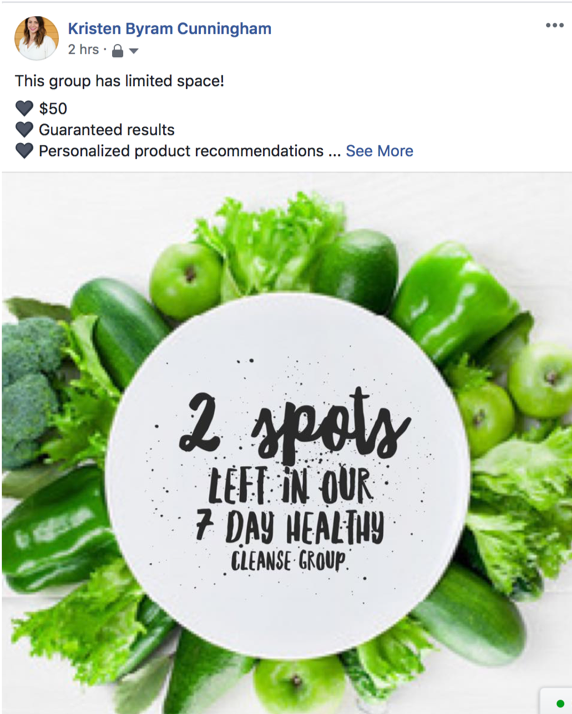 Use the 7-Day Healthy Cleanse Facebook Group or your own satisfied customers as resources. 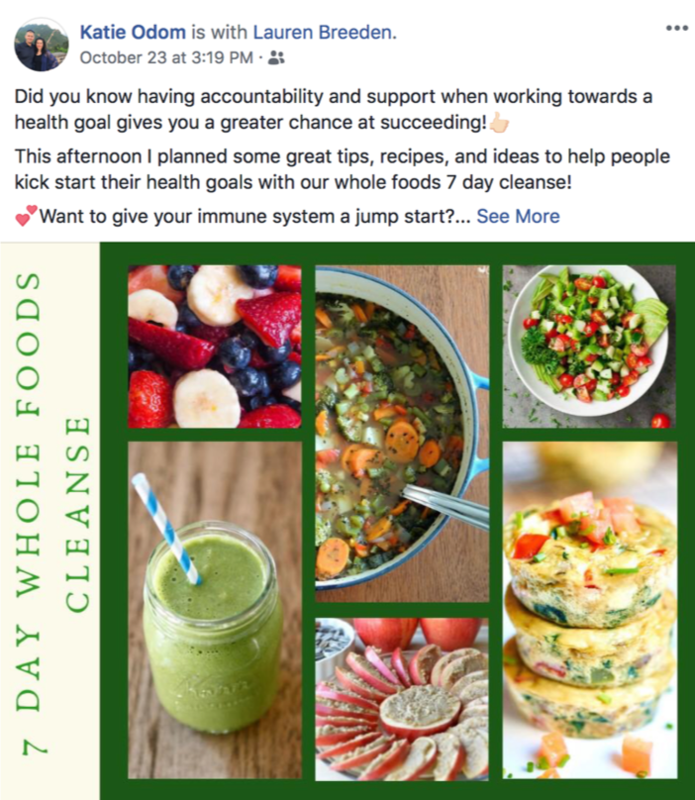 Use the dots below to see examples of Amplifying posts. 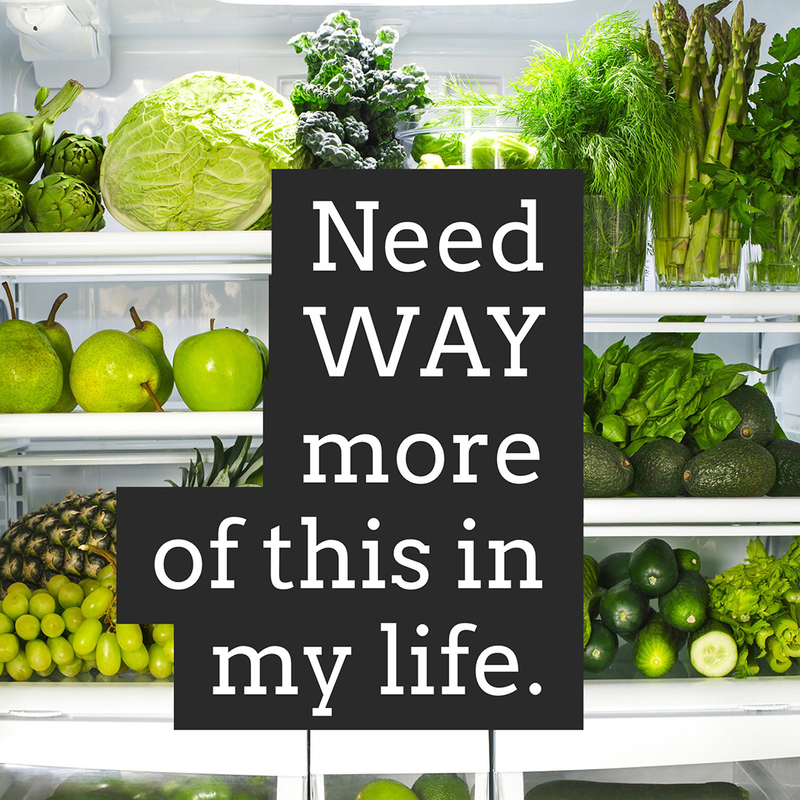 Once someone has expressed interest, you want to help them identify their goals for doing the Cleanse and present the purchase options to them. 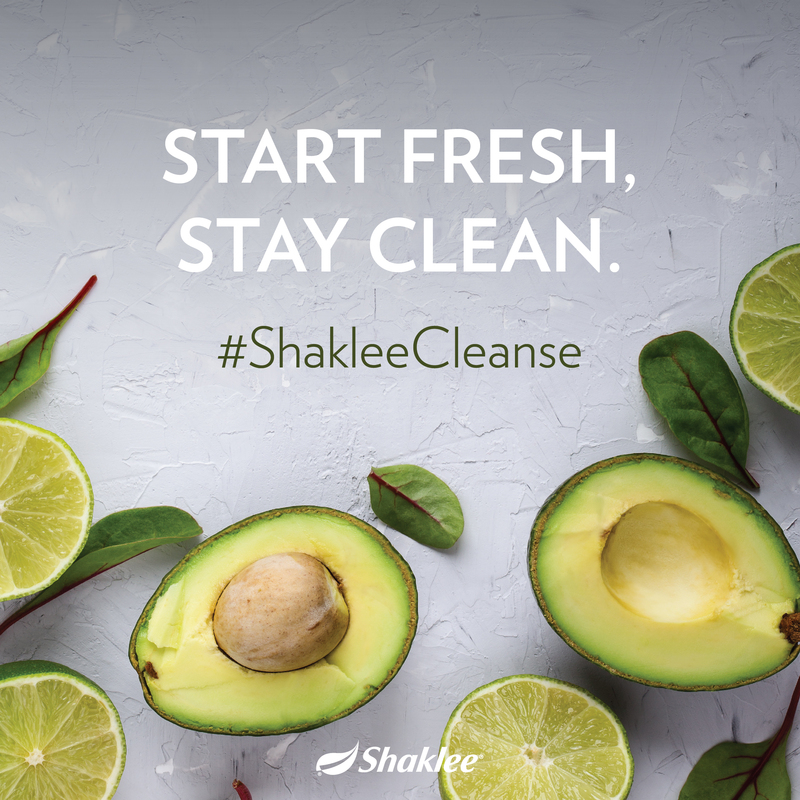 Helping people interested in the Cleanse to clarify their goals gives you guidance on how to support the next step in their health journey. Make sure to talk about why – is it for health or is for a special occasion – a trip, a wedding, a reunion? 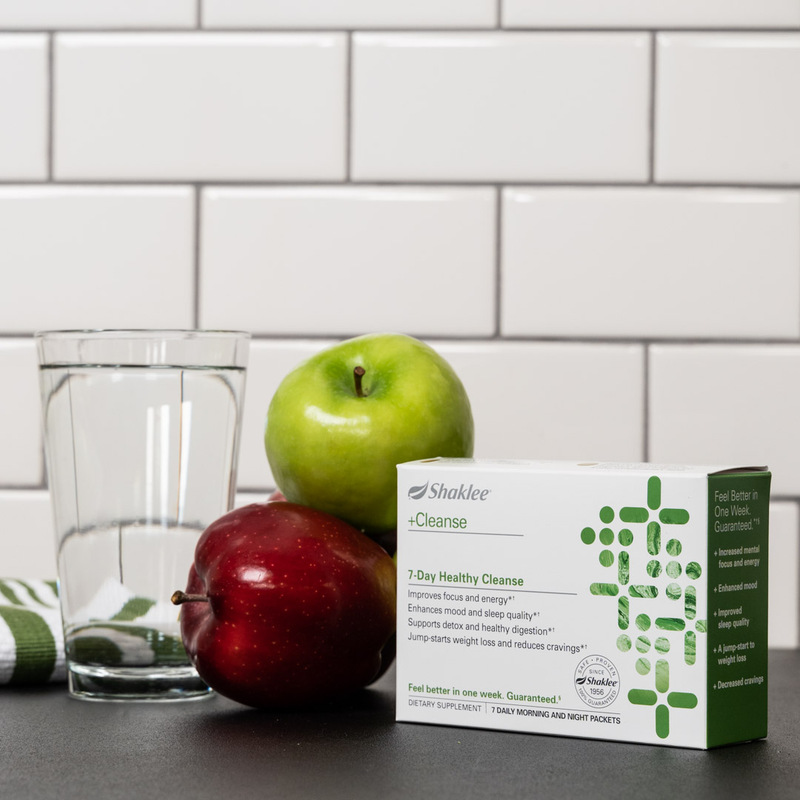 Wanting to “feel better,” dealing with sluggishness or energy or better sleep? And remember to communicate with them using the method they use with you. Don’t force a phone call, or in person meeting at this stage unless they ask. 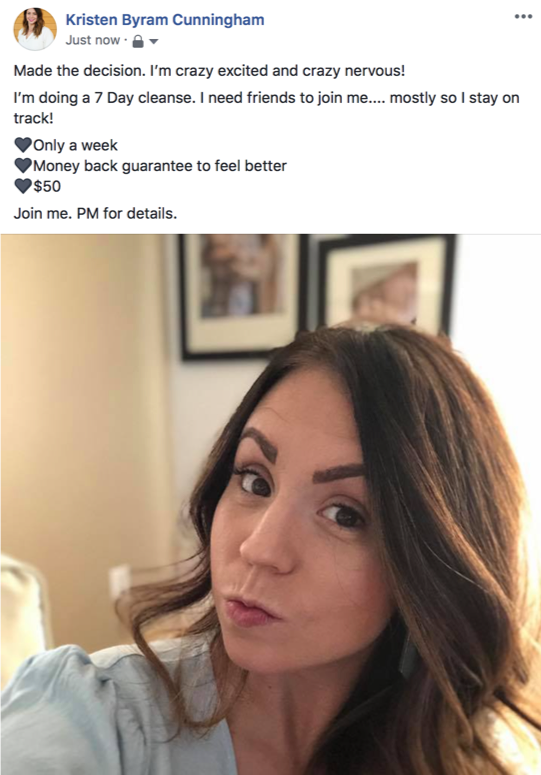 Or at retail for $50 per Cleanse and you’ll use a 3rd party payment app to get the money and then mail out the Cleanse. 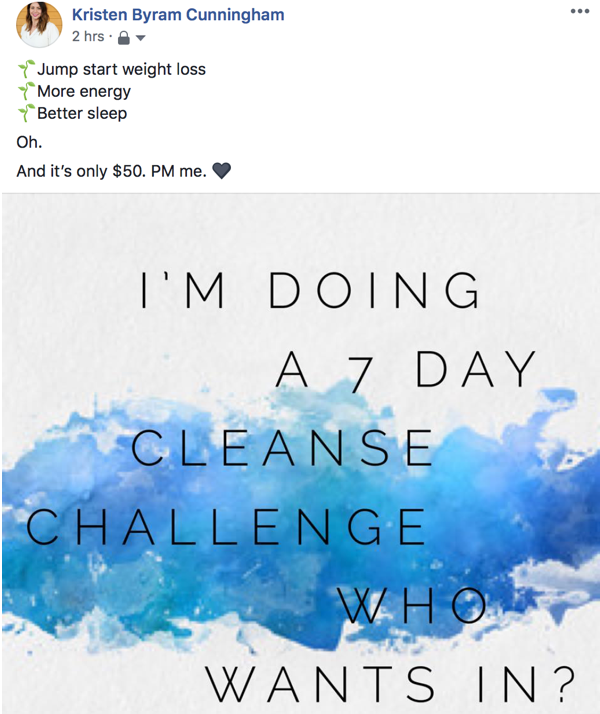 Selling at this price covers your cost of shipping out the Cleanse to them. 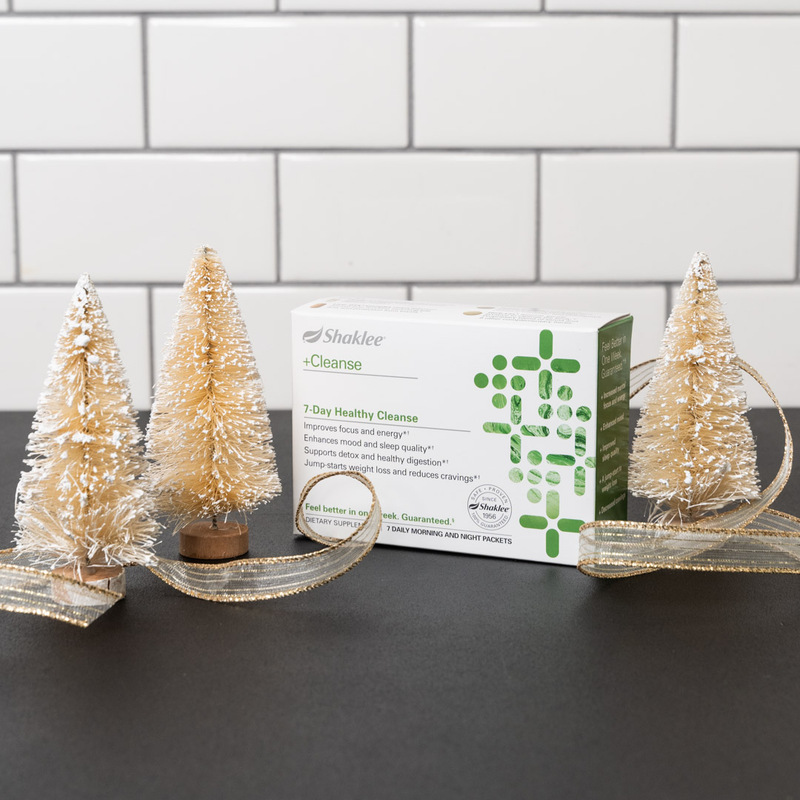 Your estimated shipping and handling cost will be approximately $4.00 ($3.50 to ship via U.S. Post Office and $0.30 cents for the Bubble Mailer). 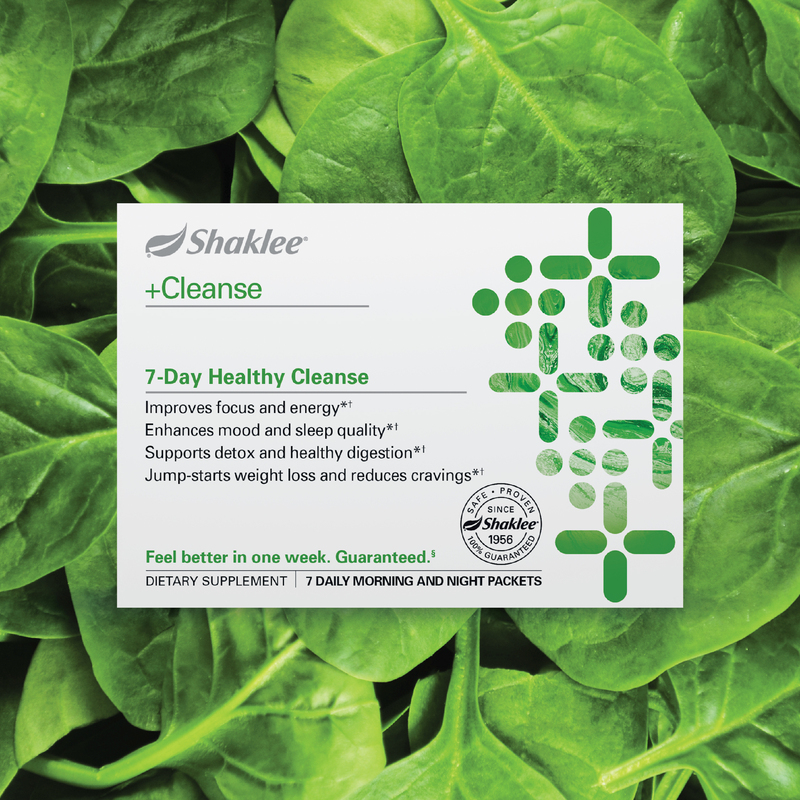 Selling the 7-Day Healthy Cleanse at $50 Retail, will cover part of those costs. You make the Price Differential between MP and Retail. 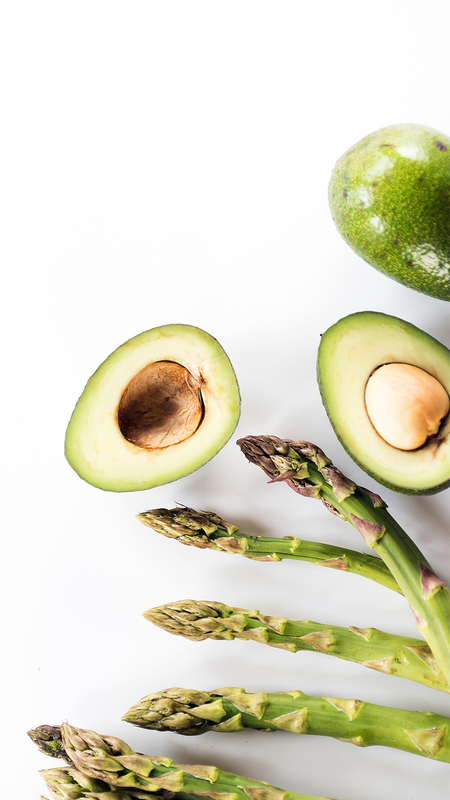 For all providers you’ll need to sign up for an account with a verifiable email address and connect a bank card and/or bank account to your payment app account. Once you have an account, you’ll use the email address or phone number of the person who wants to purchase to send a request for money through the payment app. All three are available on the App Store and Google® Play Store, they can also be used via the web. 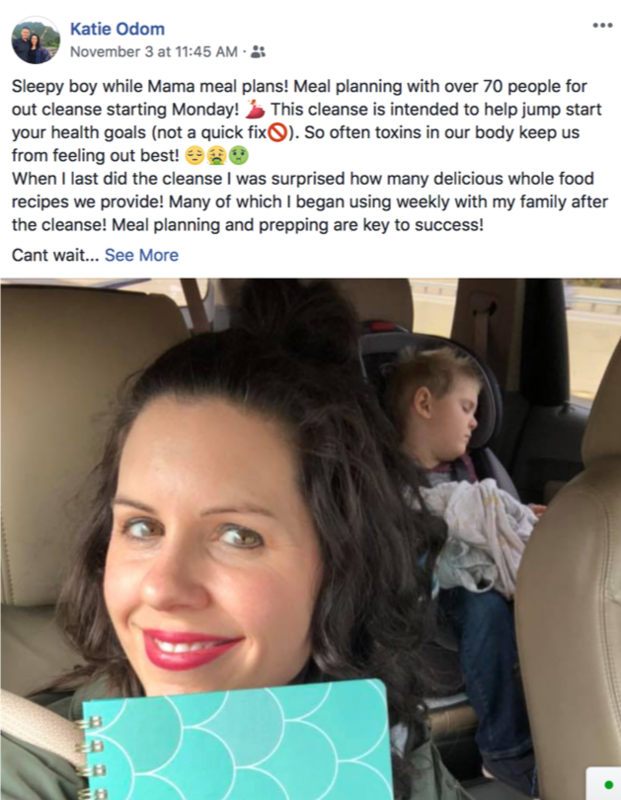 (YOU) "Hey (so and so) thanks for committing to this cleanse!! 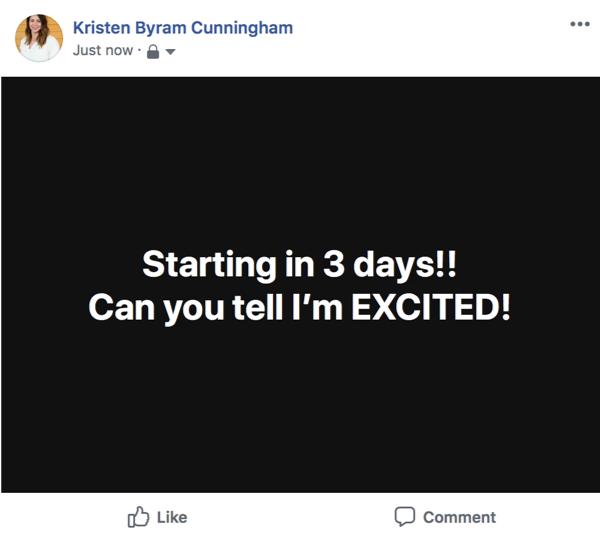 I’m super excited! It’s $50, and you can (venmo) me. 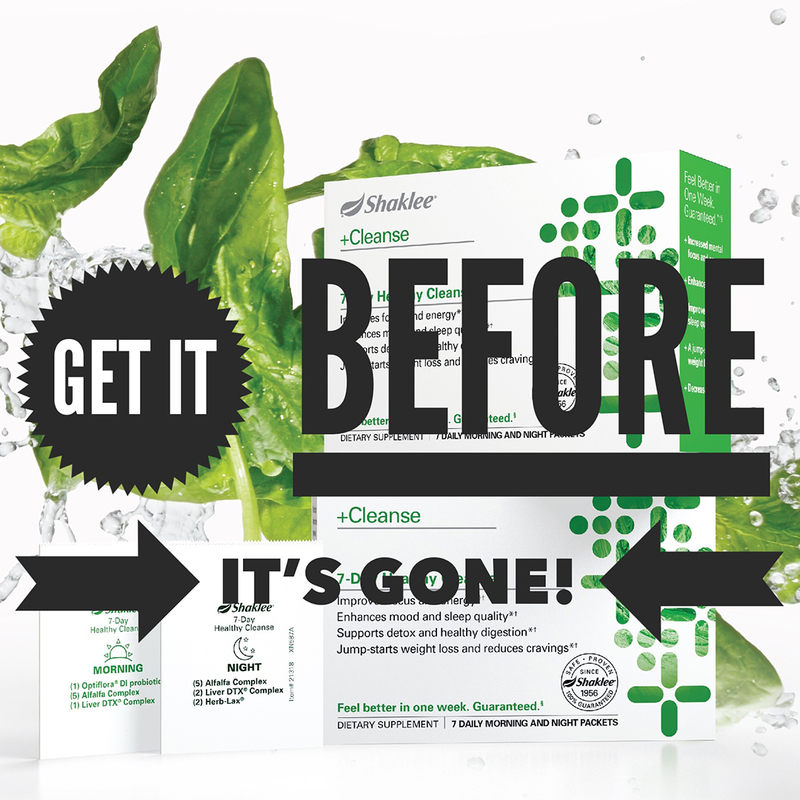 Or if you are interested in committing to post cleanse maintenance products you can actually get it for free." (THEM) "What is the maintenance product?" 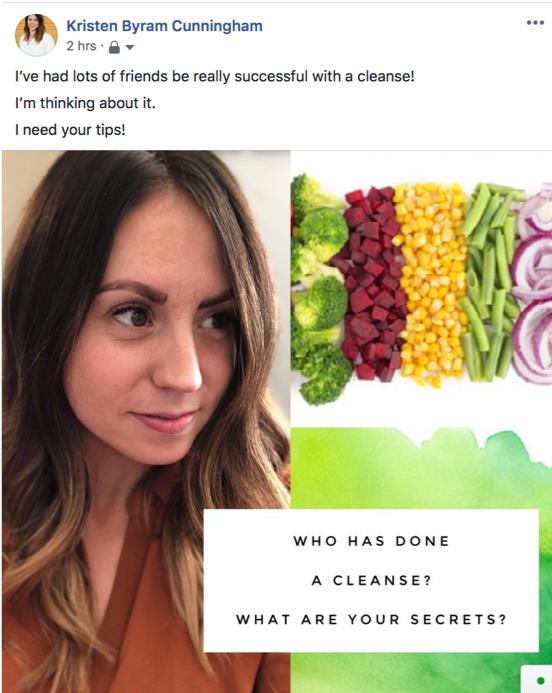 (YOU) "Well, it all depends on why you want to cleanse. 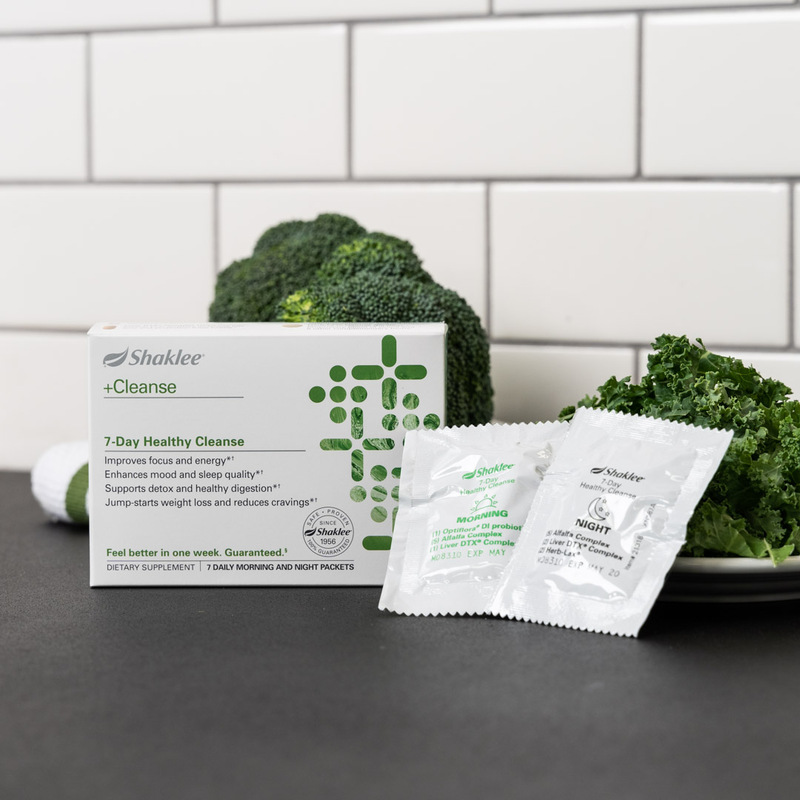 I took this health quiz to figure out my post cleanse products, it was really easy. I could walk you through it, or just send you the link. Up to you." (THEM) "COOL! Just send me the link." (YOU) "On its way…. I’ll check in with you later today to see what you thought." 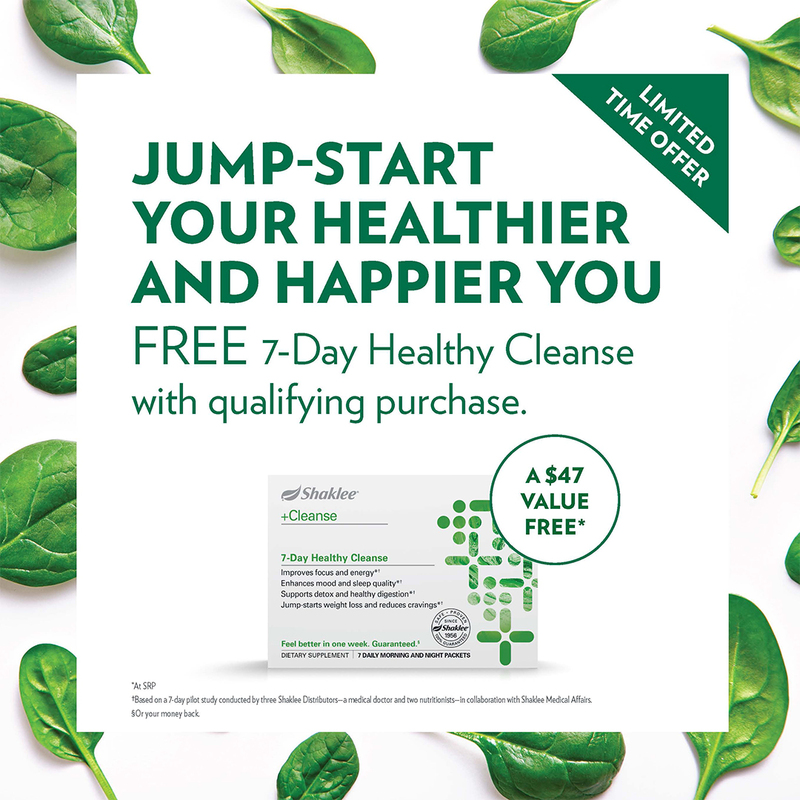 Once they’ve purchased the Cleanse, you want to get them support to be successful. Send them the downloadable resources to prepare. 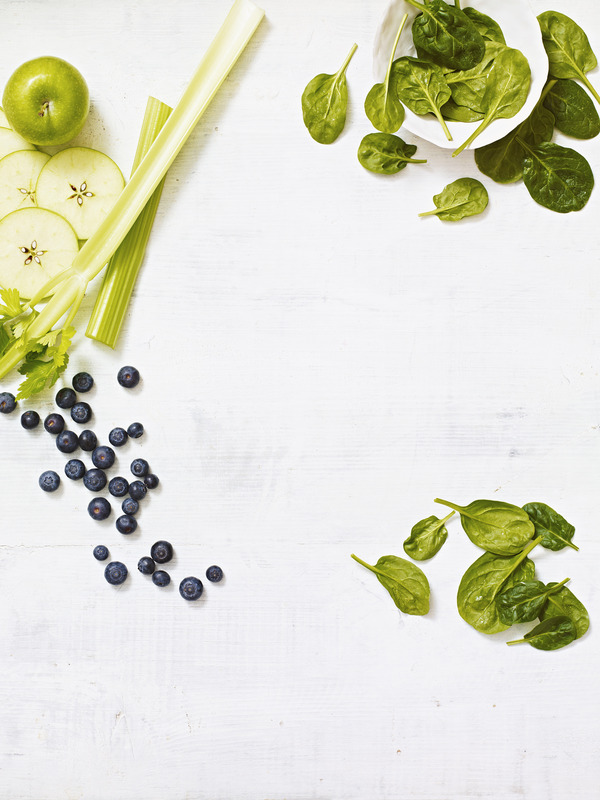 7-Day Healthy Cleanse Shopping List. 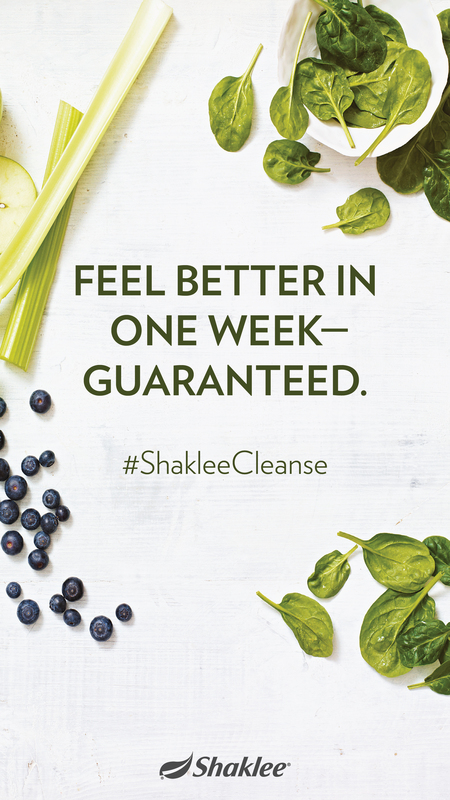 Send them the link to the 7-Day Healthy Cleanse "What to Expect" podcast. 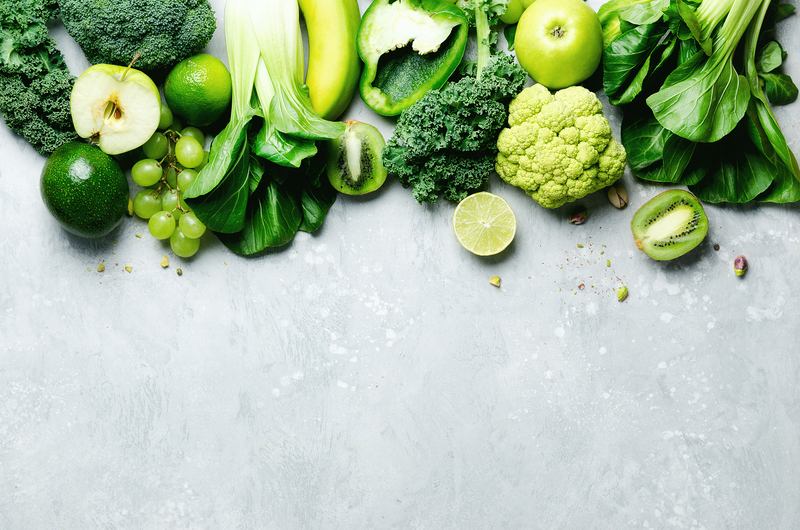 Nancy Baldwin gets answers to our most FAQs about the 7 Day Healthy Cleanse from Dr. Jamie McManus. 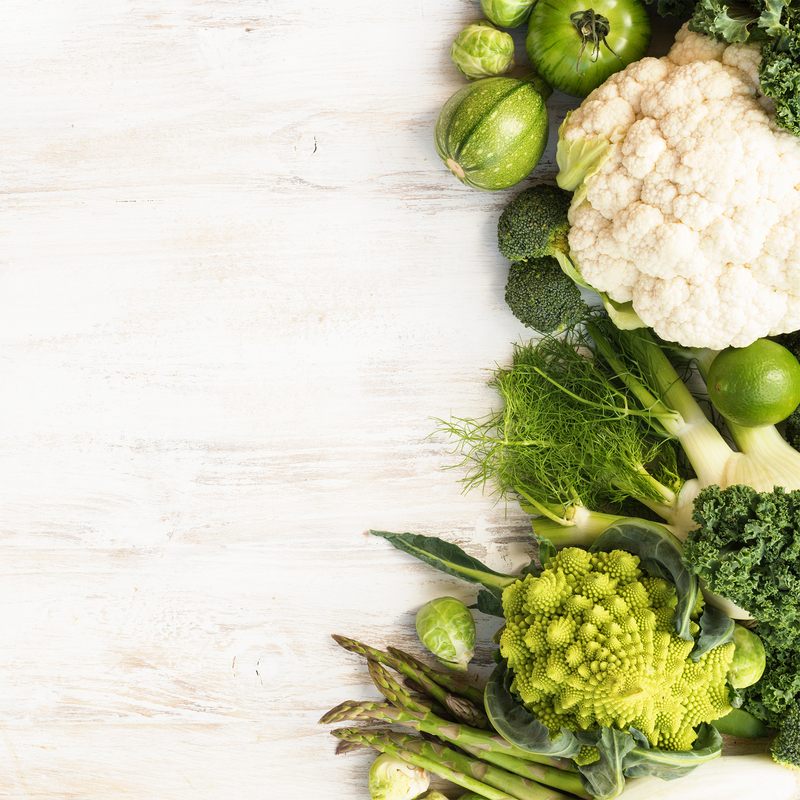 Dr. Jamie McManus and Nancy Baldwin share important tips to ensure you enjoy a successful healthy cleanse. 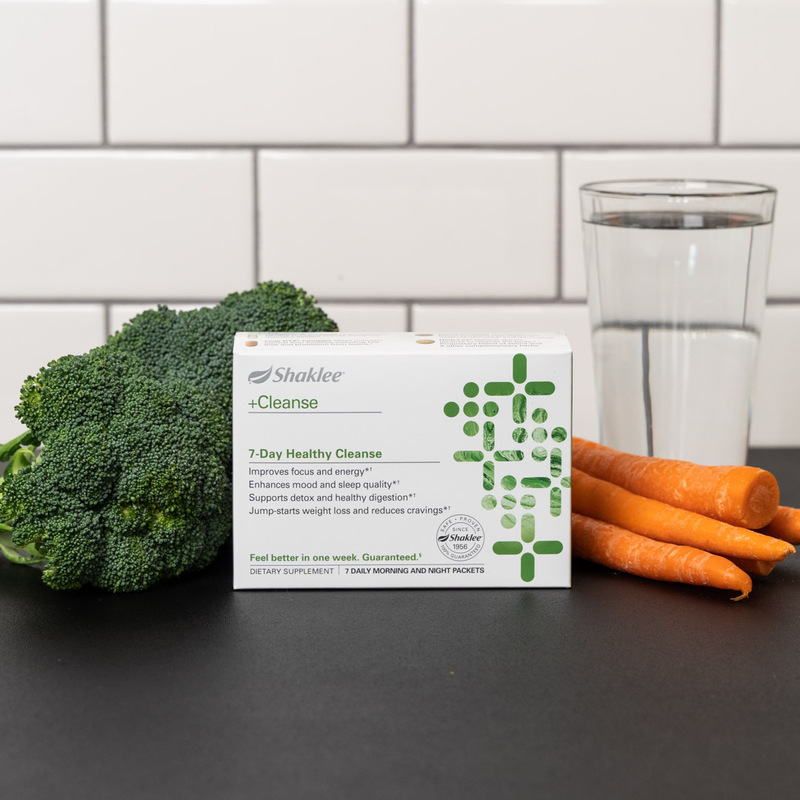 And finally, you’ll help those customers who purchase at retail transition retail to an ongoing Shaklee Nutrition Program with Healthprint. 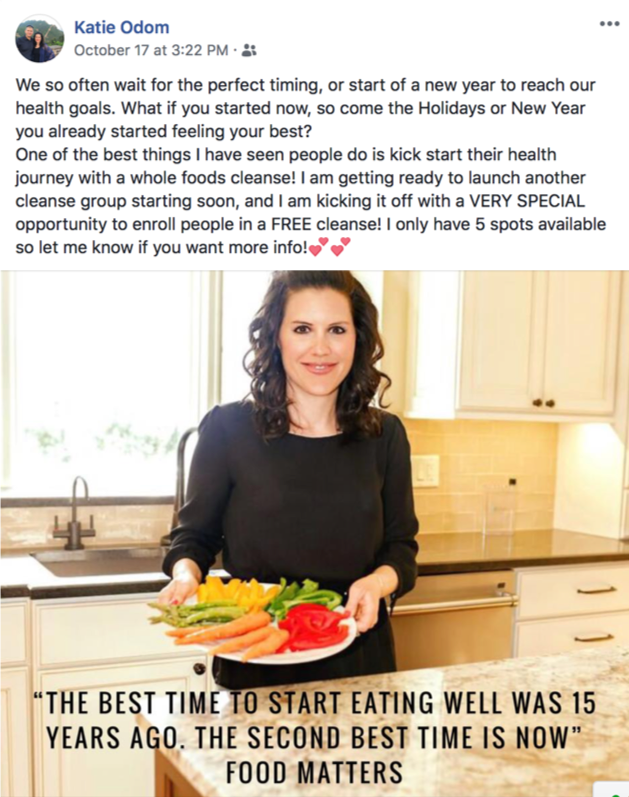 As part of the process for sharing the Cleanse you’ve already broached the subject of post-Cleanse goals. 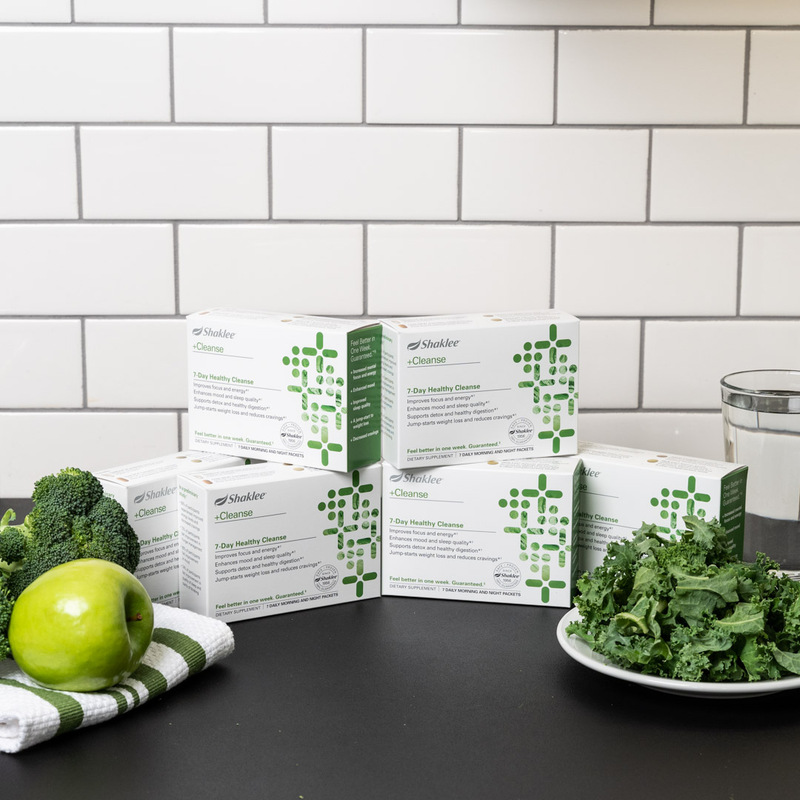 Offer them a path forward with the Healthprint offers that include Free Membership and/or Free Shipping, depending on what option they choose. 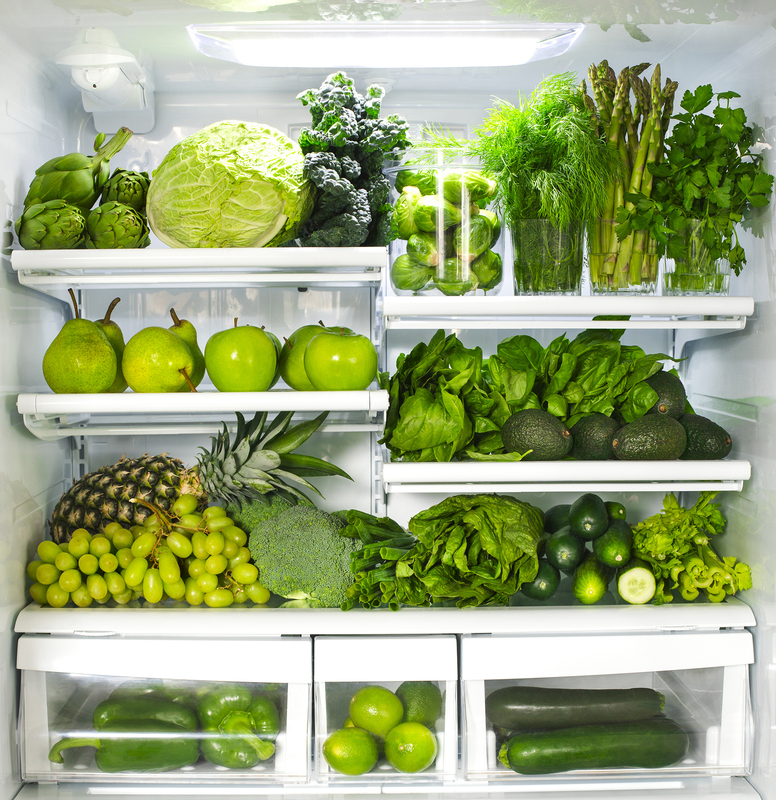 Follow up with everyone you had participating in the Cleanse. Ask about their experience — "How do you feel?" "How was it?" Ask about the business – “Hey, I’ve learned how to leverage social media to make an income. You have an awesome presence, is this something you would ever be in to? 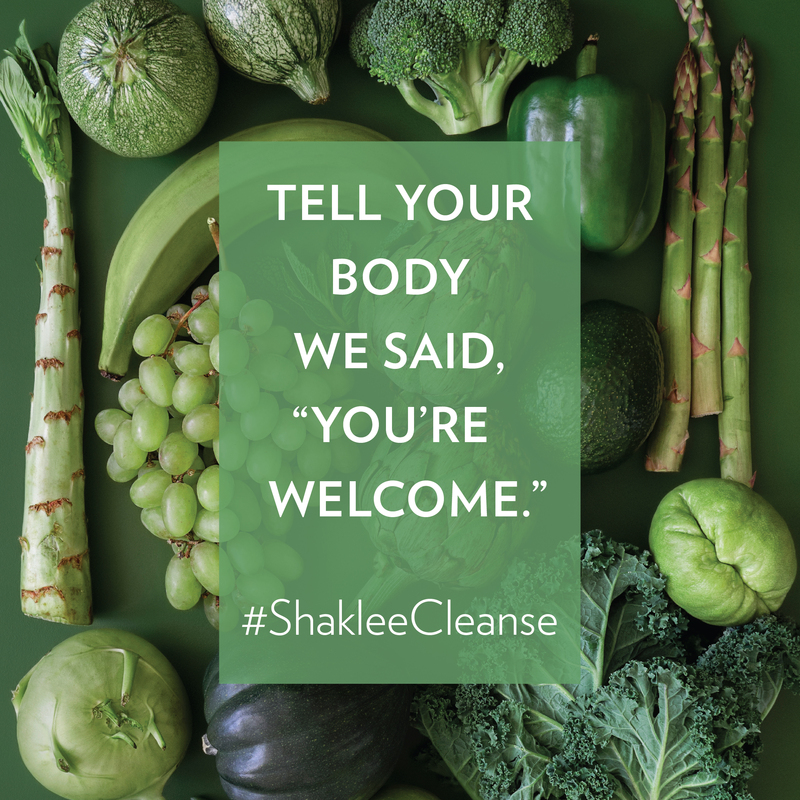 I can tell you exactly what to say, and we have a ton of coaching if you are interested"
The Shaklee Cleanse Facebook Group will offer daily content to offer support and encouragement for those participating in Cleanse. 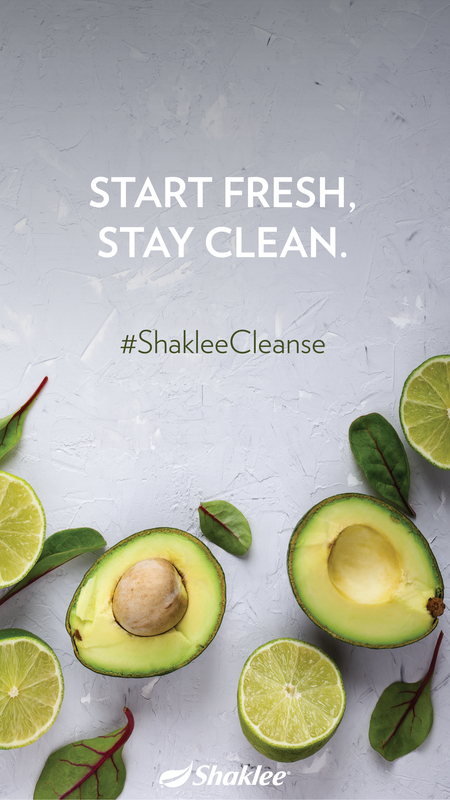 The group is open now and the first Cleanse will kick off on Monday, November 26th. 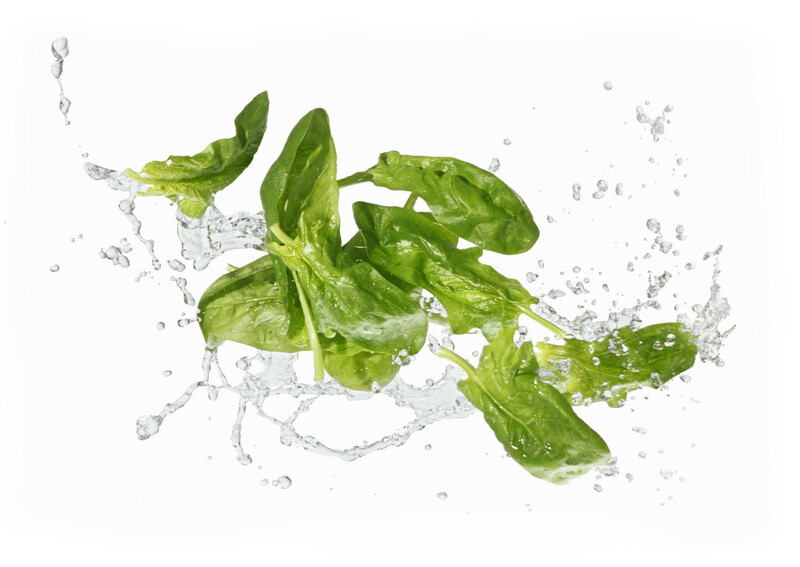 From there we will run Cleanses 12/3 and 12/17. 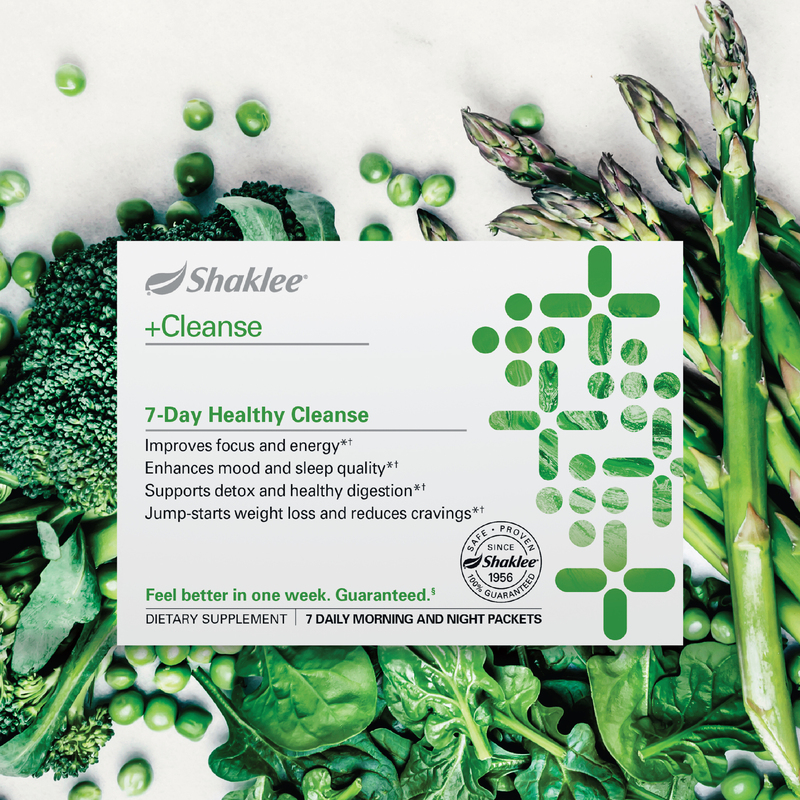 We'll move to supporting weekly cleanses starting 1/7/19. 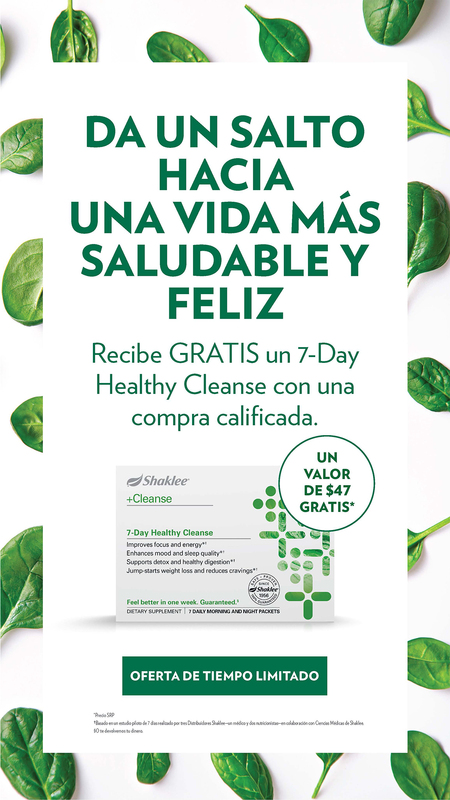 We invite the entire Shaklee Family to participate in the 7-Day Healthy Cleanse on 11/26, not only to get familiar with the group and how it works, but also to get your own results to share. 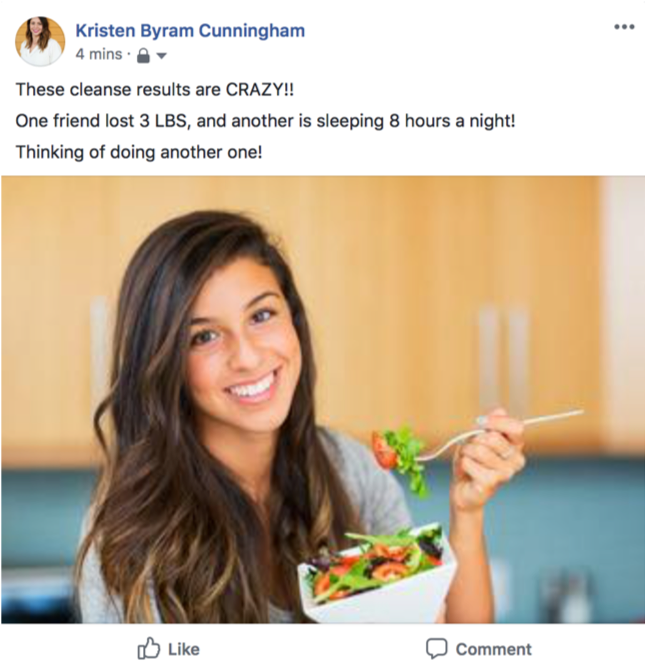 While Corporate will be leading Cleanse Facebook Group, it is important that YOU participate and support your folks in the group. 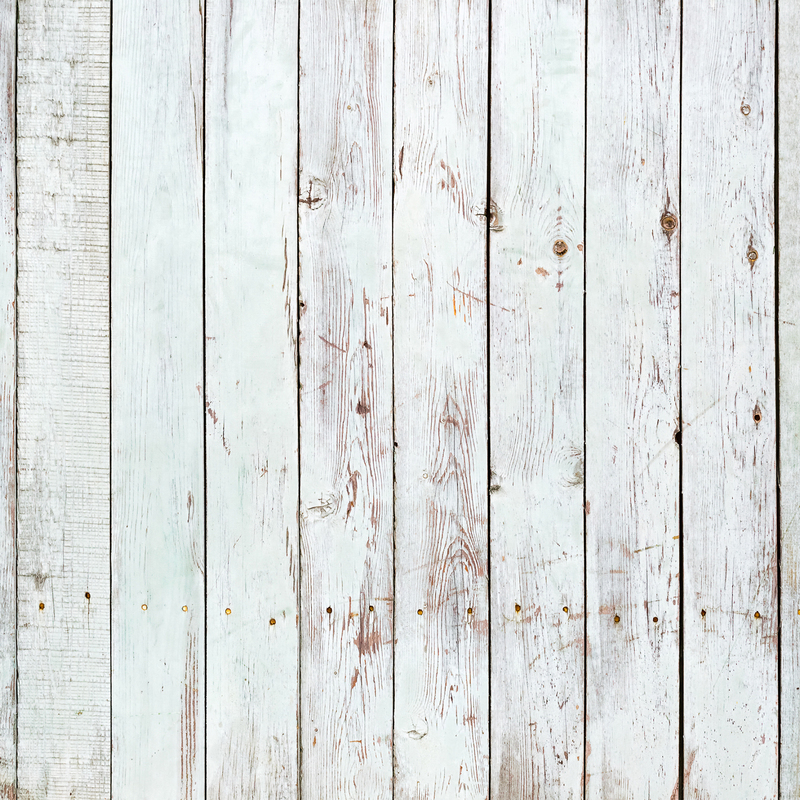 In addition to the assets we provide that you can use, here are some of our favorite apps for helping you create your own social posts. Remember! Don't spend a bunch of time on this…take your own pictures or use some of ours and then use the apps to add text or other flourishes to make them your own. 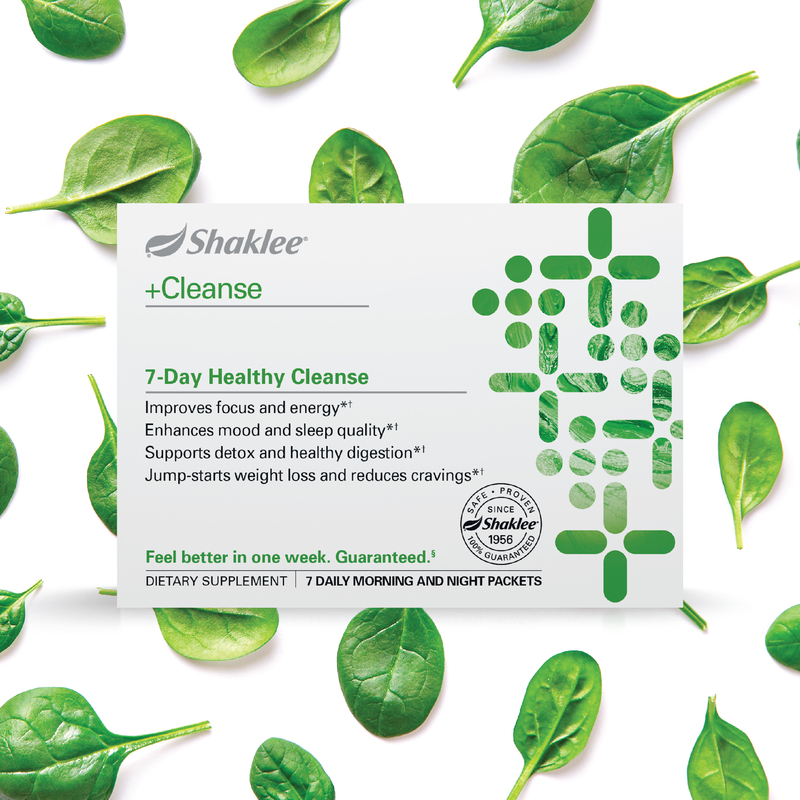 For those of you posting in general about the 7-Day Healthy Cleanse and need the messaging already included, take advantage of these posts that feature Shaklee messaging.